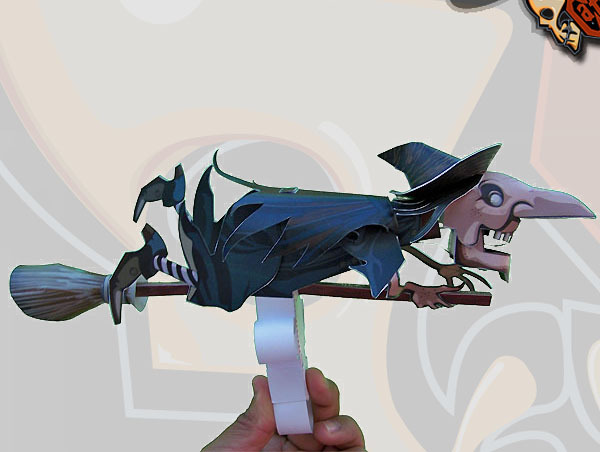 This is a paper automata inspired by the witches who roam the dark nights of October appalling curious minds of children. 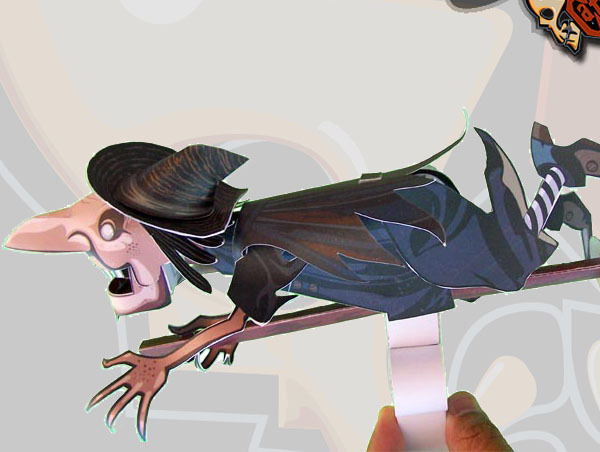 The Old Witch comes in a PDF file with instructions and patterns. 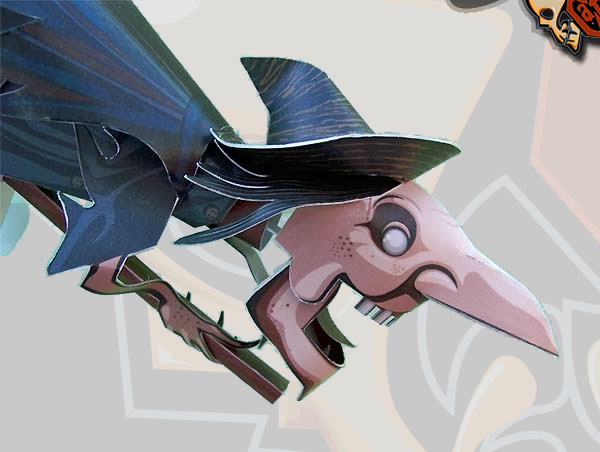 The difficulty level is medium, especially in the form of the face and head mechanism. The Old Witch paper automata by Arturo Palacios is licensed under a Creative Commons Attribution-NonCommercial-NoDerivatives 4.0 International License.